After Facebook now Google also Planned to Give Free Fast internet to the World! 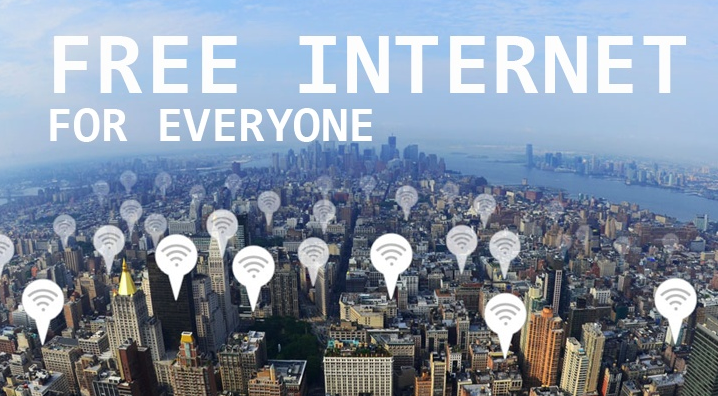 Facebook has launched his Project called internet.org , now Google has Planned to Free the Internet they have a new plan to bring Free, Fast Internet WiFi to different cities around the world. Google has Announce to roll out free WiFi to everyone in New York City in September this year. How will Google Do this? Google-backed Sidewalk Labs will convert over 10,000 New York’s old phone booths into ad-supported “Wi-Fi pylons.” These booths will give free internet access around 150 of radius each. Sidewalk Labs is leading a group of investors to acquire control group and Titan companies working to cover the city of New York with the free service, Superfast Wi-Fi. Besides offering free Wi-Fi, the cabins are also aimed at providing free charging cell phones, free national phone calls and an information center based on the touch screen that gives you everything you need to know about addresses city ​​and transit, Bloomberg reported. According to the report, each pylon Wi-Fi deliver advertising on the sides through Titan’s advertising network, which is expected to bring $ 500 million in advertising revenue to the city in the next 12 years. If this first trial in the city of New York has proved a success, then the search engine giant will be a step forward to launch similar programs in other cities around the world hoping to get everyone online.